At Eclectic Tarot Forum we are people with a wish to share knowledge. We encourage each other’s passions for the mystical and for the arcane. Eclectic Tarot Forum embraces the world of Tarot and Oracle cards. We also welcome and support lovers of all kinds of decks. It is where beginners and experienced alike can engage on every level and improve their craft. This is a place where collectors and artists can meet. Artists are encouraged to share their work. 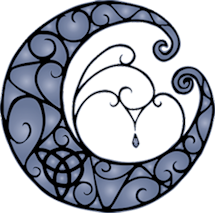 Eclectic Tarot Forum is moderated by a group of experienced and enthusiastic cartomancers. Their only goal is to help create and encourage the kind of dynamic atmosphere that allows a free flowing exchange of ideas and knowledge. We also invite your contributions in the areas of Astrology, Crystals, Witchcraft Spells and Rituals, Divination, Healing, Kabbalah, Spiritualism, and more. What you bring to this forum is what defines it. Still a Guest? Learn more about becoming a member.